Half of Amazon's new headquarters will be somewhere called 'National Landing' in Northern Virginia. Here's what we know about the location. WASHINGTON — Amazon’s new headquarters will be split between New York’s Long Island City and somewhere called ‘National Landing’ in Northern Virginia. There’s only one problem — at first, nobody seemed to know where in the world National Landing, described by Amazon as an “urban community”, actually is — and the announcement sent newsrooms and confused residents alike scrambling to figure out exactly what part of Arlington would host the tech behemoth’s second headquarters-to-be. The headquarters will be housed in a collection of new and renovated buildings located in National Landing, which includes portions of Pentagon City and Crystal City in Arlington County, Virginia and Potomac Yard in the City of Alexandria, Virginia. Gov. 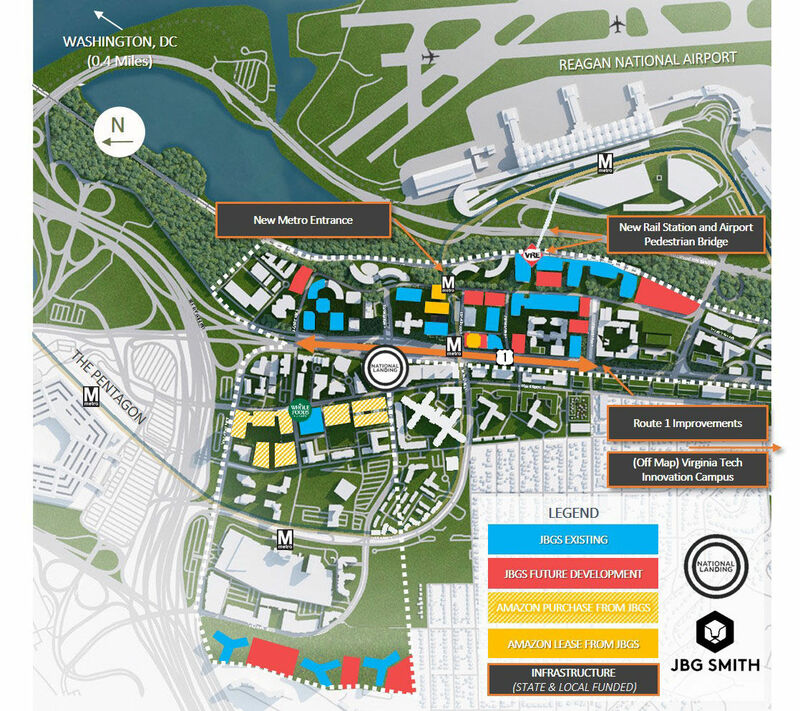 Northam’s office said the new headquarter’s initial growth would be “focused in the Crystal City and Pentagon City portions of National Landing,” meaning it could expand further down the road. 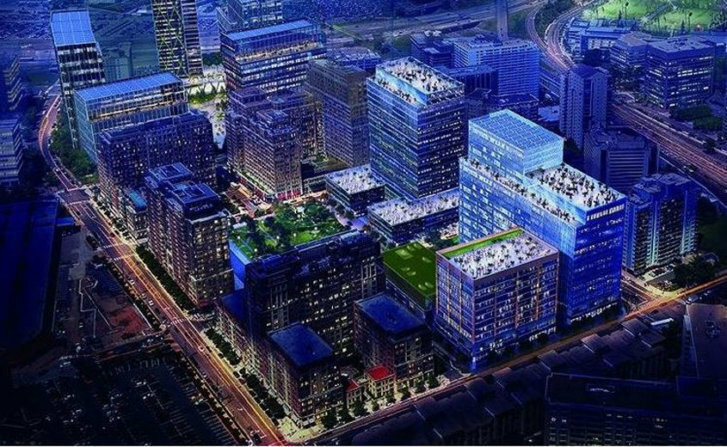 Artwork released by the Virginia Economic Development Partnership appeared to show one of Amazon’s prospective developments in Pentagon City. Some sleuthing in Google Maps appears to show that campus roughly centered in present-day Metropolitan Park, just west of Route 1 and across the street from the Costco in Arlington.